Bright sunshine from the east here this Thursday morning on California’s north coast, while just west of Mckinleyville Avenue, within sight from my front window, lies a deep-gray fog bank, waiting to quash the dazzling light — been hanging there awhile, so maybe we’ll stay on the brilliant side of the line. Rainfall at the Northern California stations monitored by DWR was impressive in March — more than 16 inches, almost two and one-half times the month’s average. While the rainfall was encouraging, the snowpack hasn’t kept pace. Frank Gehrke’s of DWR’s snow survey team reported about average water content at Phillips Station on March 30. The statewide content was just 87 percent of average for the date. “The effects of previous dry years will remain for now,” he said. In other words, California still has drought conditions. We in the northern part of the state received the lion’s share of the rain this past winter, and the hogs-wealth of our major holding tanks located up here are looking good. Lake Shasta is so full, the daily amount of released water into the Sacramento River has quadrupled since March 18, from 5,000 cubic feet of water to 20,000 cubic feet. And Lake Oroville is at 109 percent of historical average, while Folsom lake is 110 percent. Despite all that, just still not enough water, and even hope for snow levels. But no such official proclamation came Wednesday. Instead, Frank Gehrke, chief of the California Cooperative Snow Surveys Program, downplayed the “March miracle” that has bolstered Northern California water supplies but not substantially changed conditions in the south state. 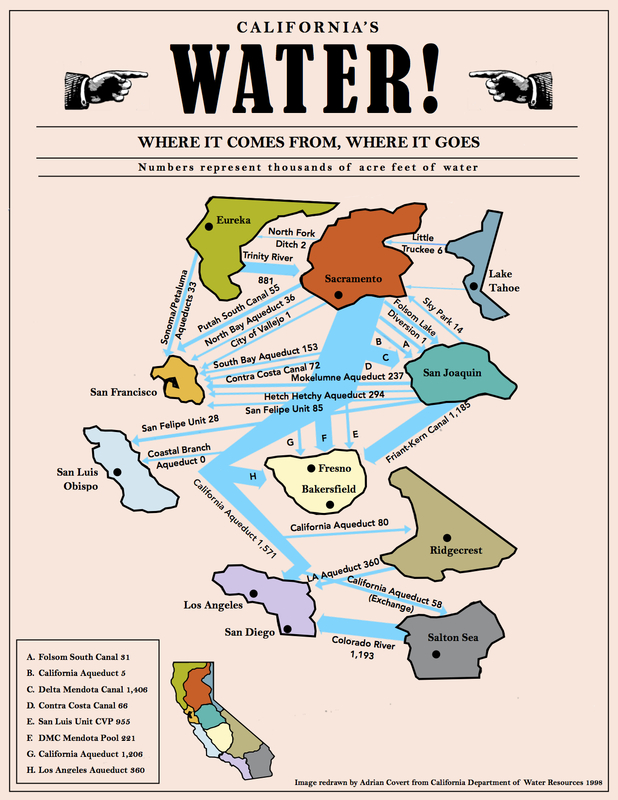 The catch centers on California’s complex plumbing network. Southern California, even in average precipitation years, is heavily reliant on water shipped from Northern California for irrigation and drinking water needs. So, one year of average precipitation in the north state is not enough to undo the impacts of five dry years statewide. Historically, California’s significant multi-year droughts have ended when statewide precipitation totaled about 150 percent of average, according to the Department of Water Resources. So far this year, statewide precipitation is close to average. “We’re still going to be having a drought south of the Delta in the San Joaquin Valley,” said Jeffrey Mount, UC Davis professor emeritus and senior fellow at the Public Policy Institute of California Water Policy Center. Meanwhile, Jeff Kightlinger, general manager of the Metropolitan Water District of Southern California, said that the “big wish and hope” of a wet winter hadn’t materialized. “We’ve had another drought year in Southern California, even with El Niño,” he said. “I think it’s premature right now,” she said.